Some of you will already know that our office went under in the ‘Big Flood’ on that miserable Friday in July. 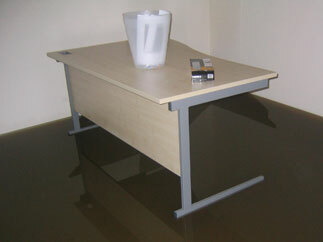 Here’s a photo of our office about an hour after the water first starting coming in. As you can see we rescued everything except the desks and even managed to take up the carpet before it got wet. Here’s the view from our office door! The water continued to rise reaching about 2 feet deep inside the building. This entry was posted in Oxeye Daisy and tagged office. Bookmark the permalink.